Oh no! It's been raining soo hard here in the Philippines. Yes, this is a late post. Sorry!! I finally got to try my Hello Kitty nail decals that I've bought from a local online shop. 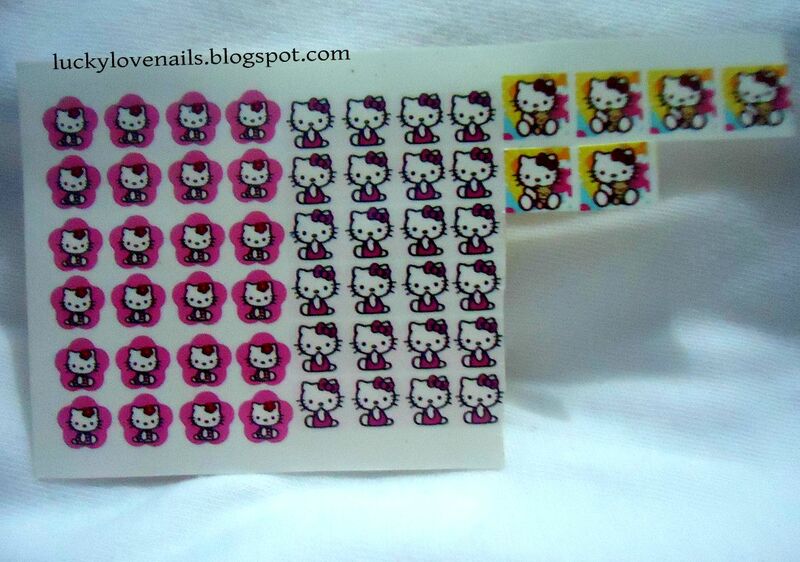 The thing I like with nail decals is how easy it is to use for that instant nail art! 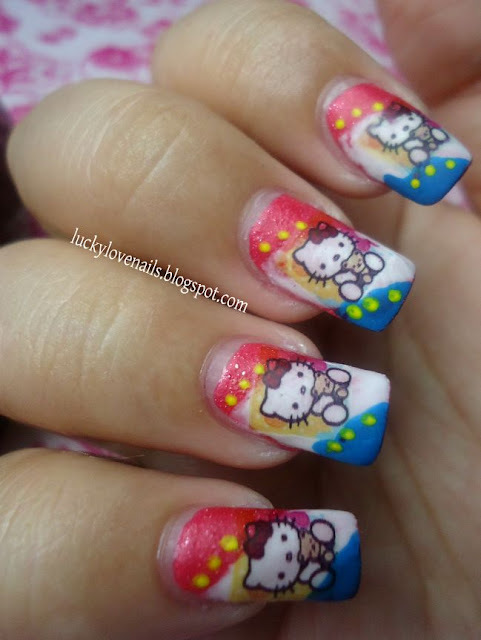 :) Since it is hello kitty, I got to play around and be oh so girly with the design! I got a lot of compliments from random people on the mall. Don't you just love it when people gets to appreciate your work even if it is just simple? I DO!! Awesome!! I like the added polka dots! Hello, followed you back... adorable design. BTW, about your question.... I felt the same thing when I was just starting out. I had no clue how to put false eyelashes on, so I just watched random tutorials on youtube. The first few times I tried it was a disaster. I was even using a generic lash glue at the time which I bought at a dept. store. Just practice until you get it right. Nice! SALAMAT for the advice Hollie! 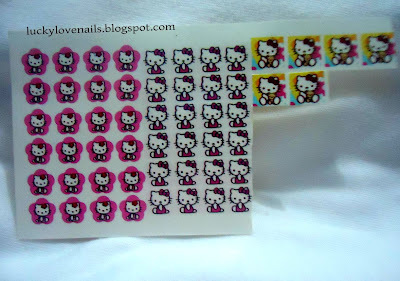 I love these, I am a sucker for anything Hello Kitty! 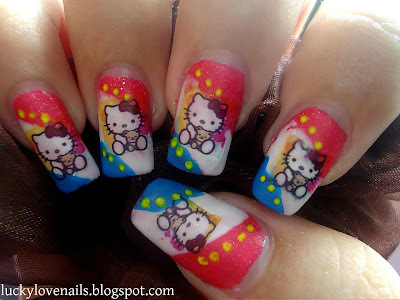 I totally would have stopped you in the mall to look at your nails haha. Hope the weather is getting better for you and everyone is safe! Thanks for the concern dear! But thanks for the concern dear! I'm really sorry to hear about the torrential rain and flooding!! D: That is so scary!!! I hope that you and your loved ones (and everybody!) are safe!!! Thank you so much Ashesela! Nice blog you have shared with all.It's interesting to find blog on Attractive Decals Edmonton, will be useful to many.Thanks.